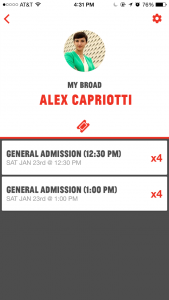 The Broad worked with STQRY/Area360 to design and build an integrated ticketing system that ties together the visitor admissions experience online, in-app and onsite, bringing together rich content and practical admissions needs. 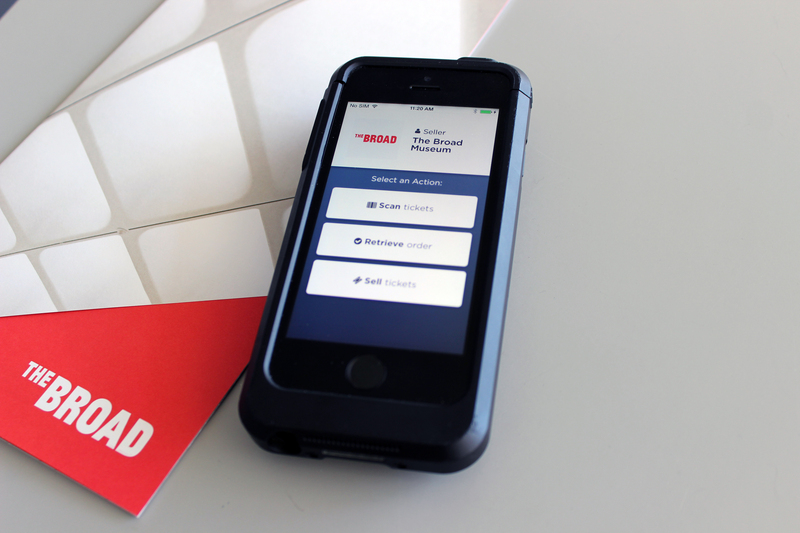 After making advance reservations online, visitors with The Broad’s public mobile app are encouraged to sign into their accounts and access their tickets directly within the app, like a mobile boarding pass. 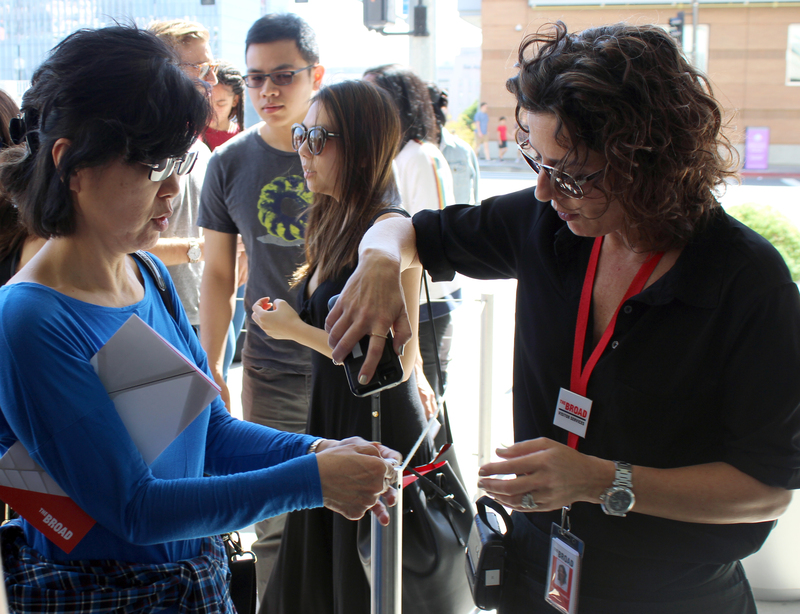 Visitors already signed into the mobile app are prompted as they arrive at the door to pull up their timed entry tickets for easy admittance. 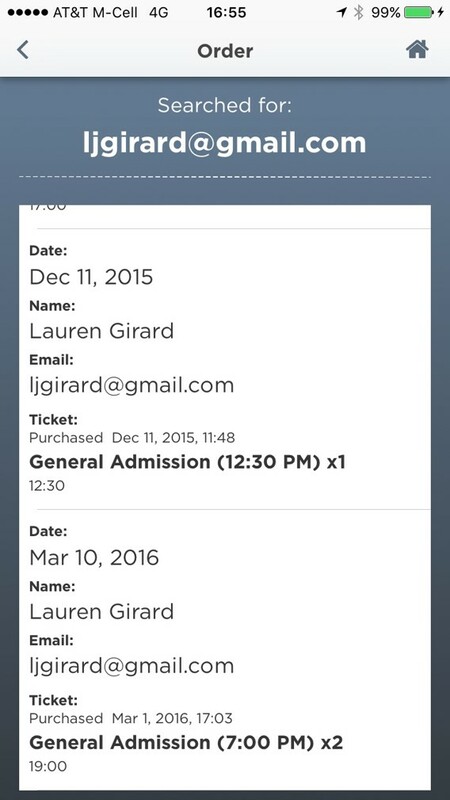 Museum staff use a customized internal-facing app to scan, retrieve, sell, and print tickets on the fly. 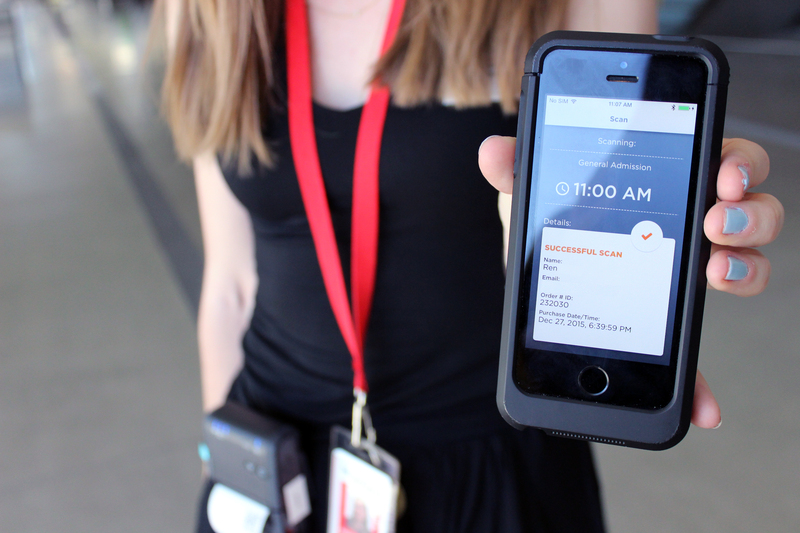 The emphasis is on efficient, low-friction interactions with visitors, enabling entry procedures without a physical admissions desk or traditional ticketing printers. Growing out of a need to improve the ticketing experience for both visitors and museum staff, The Broad partnered with STQRY/Area360 to fundamentally reimagine a visitor’s first impression of an institution. The Broad’s priorities were on ease of use, interoperability, and flexibility, opting to build something that can be used without clunky hardware and large, imposing admissions desks. 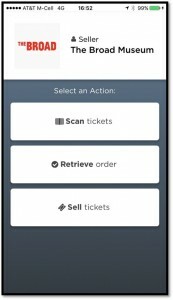 The result is an iOS app-based admissions system, which allows museum staff to easily find, sell, print with mobile receipt printers, and scan visitor’s tickets while enjoying the flexibility of an Apple Store-style interaction. 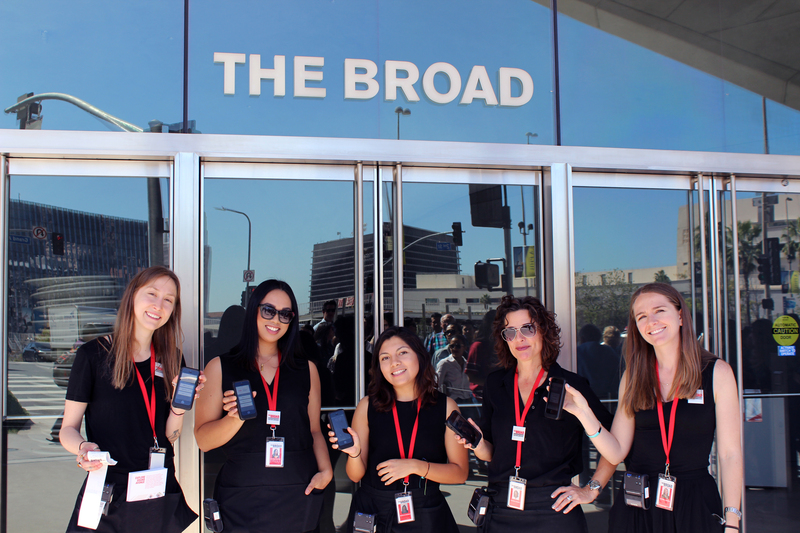 The Broad’s Visitor Services Associates with mobile scanners and hip ticket printers. 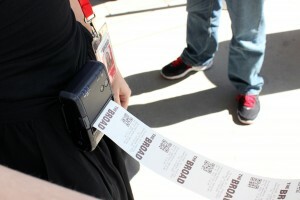 Mobile ticketing hardware with the ability to scan, retrieve, and sell tickets. 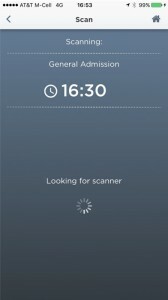 Visitor Services Associate facing mobile ticketing home screen shows the ability to Scan, Retreive, and Sell tickets. Sell: Visitor Services Associates are able to reserve tickets within the app for visitors at point-of-sale. 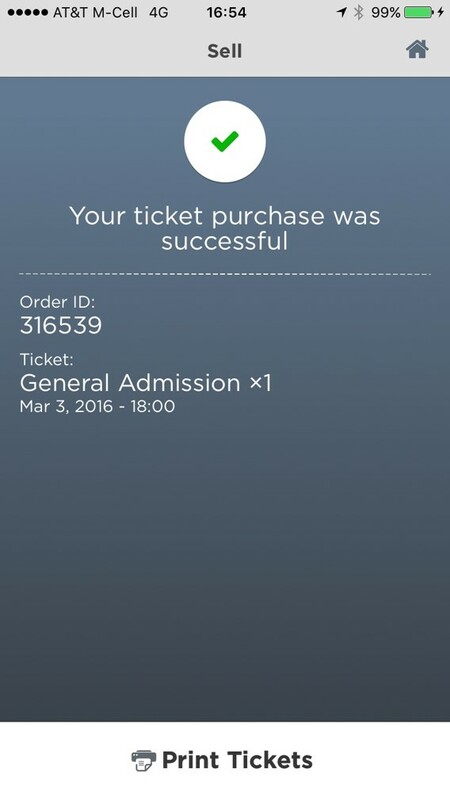 This screen indicates once a ticket purchase was successful. 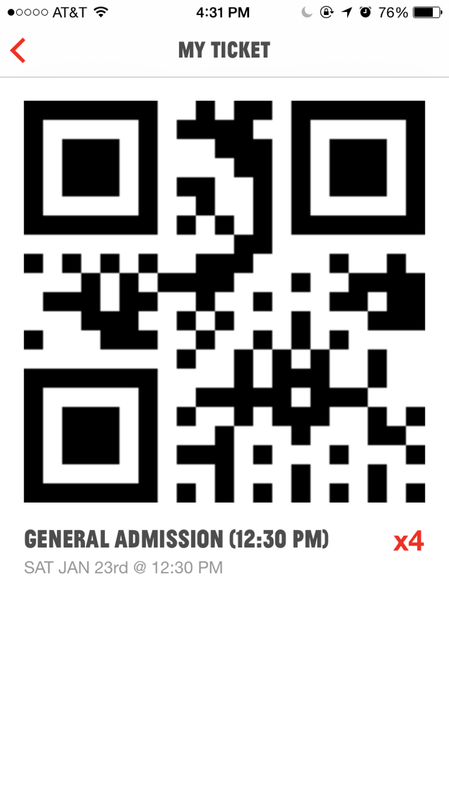 Scan: Visitor tickets can be scanned using the app and ticketing scanner hardware. Retrieve: If a visitor arrives at the museum without their printed ticket or mobile ticket, The Broad’s associates can also look up their orders in the app by email or name. From the visitor’s perspective, they create one account with the museum, which they use to purchase tickets and sign into the museum’s mobile app (also produced by STQRY/Area360). 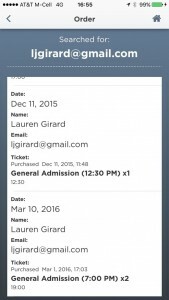 When they arrive at the museum, they can present a printed copy of their ticket, pull up their ticket in their email, or follow a prompt to access their ticket directly through the mobile app. 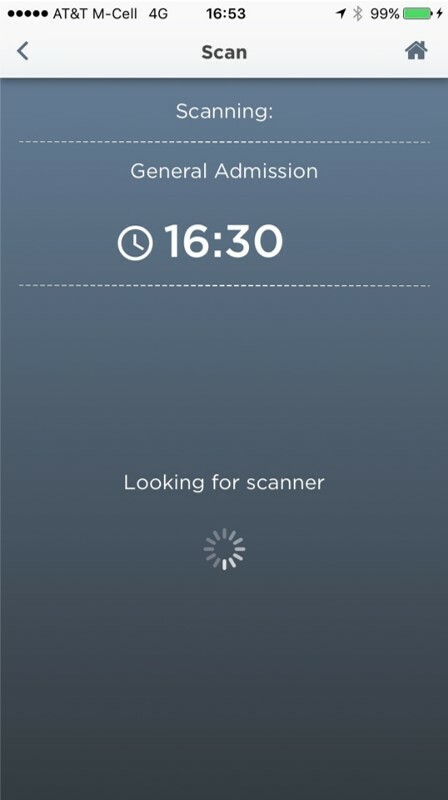 Alternatively, visitor services associates can quickly and easily help visitors who have forgotten or lost their tickets by searching for a reservation by name, email, or order number and print tickets immediately. 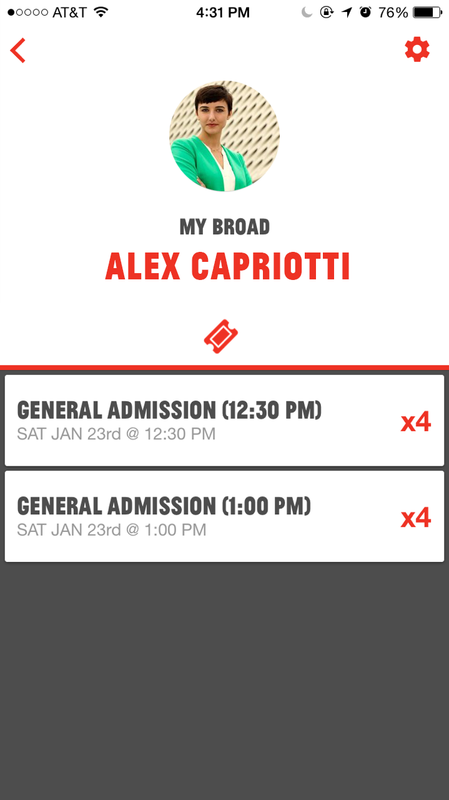 When visitors with MyBroad accounts login to The Broad app they are able to see all upcoming and past ticket reservations. 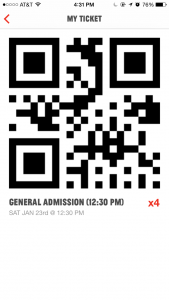 Mobile tickets can be scanned via a QR code that is provided in the MyBroad section of The Broad app. Tickets can also be printed from hip printers. Printed or mobile tickets are scanned via the mobile ticketing hardware. 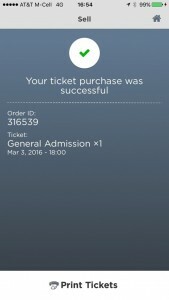 Successful ticket scans are indicated on the mobile app.